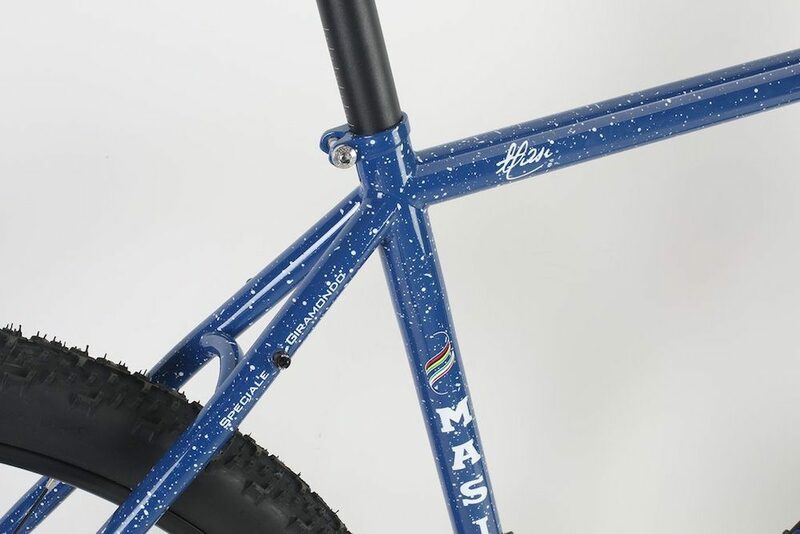 Founded in 1926, Masi Bicycles has been making and selling bikes for almost a century. 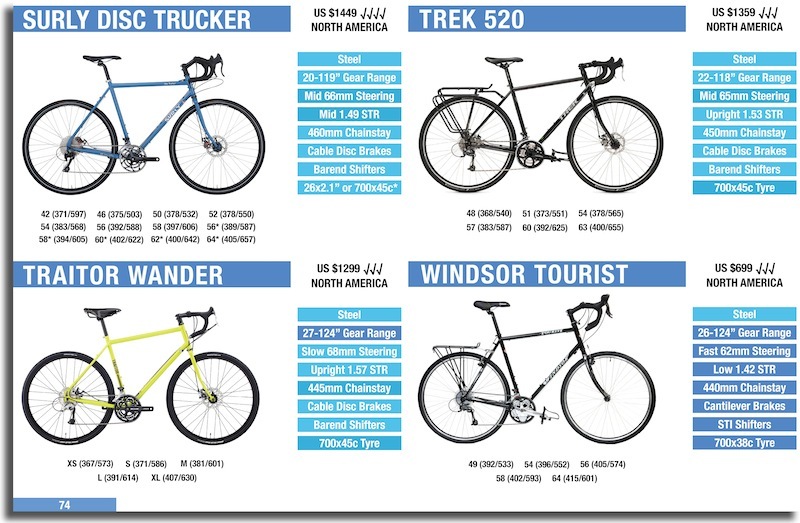 It was only recently, however, that they put together their first dedicated touring bike range. 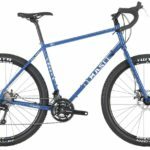 And they didn’t mess around, the 2018 Masi Giramondo touring bikes are currently some of the best value! Let’s take a closer look at the two models available in this year’s lineup. The Giramondo 700c has been designed with long-distance road touring in mind. While it comes with 40mm wide tyres, the frame will accommodate 50mm slick tyres if you’re spending a bit more time on gravel. 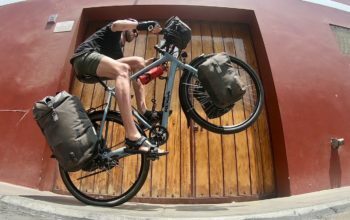 The Giramondo comes with a mountain bike crankset and 11-36 tooth rear cassette that achieves some of the lowest gear ratios available on any touring bike – it’s an 18-109″ gear range. 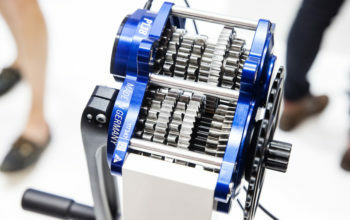 These low gears allow you to ride as slow as walking pace up steep hills and at the other end, the largest gears won’t run out until well over 50km/h. 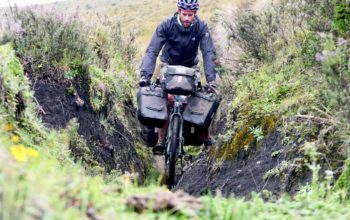 With three bidon mounts on the frame and two on the fork, there’s ample space for water or cargo cages. 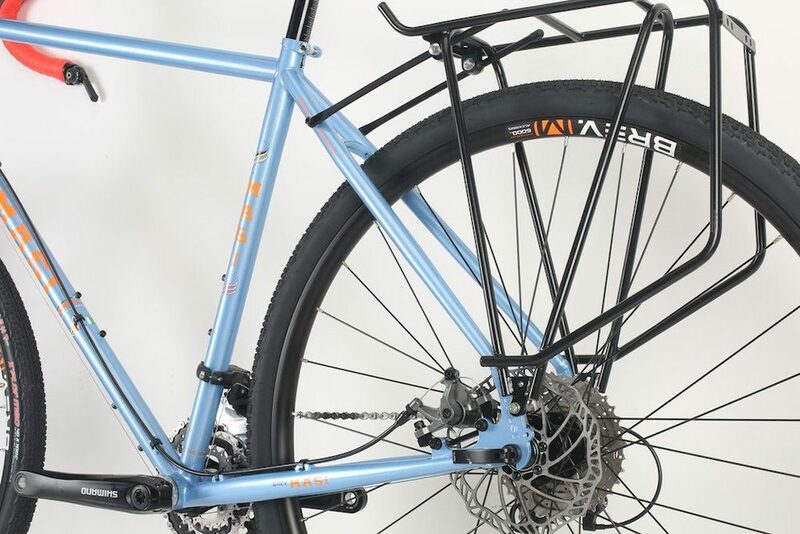 A Tubus Tara front rack comes with the bike. 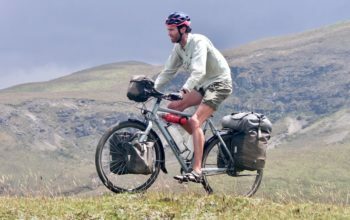 A Tubus Tara front rack and Tubus Cargo rear rack are supplied with the Giramondo. These steel racks are the best in the business with a lightweight construction, huge weight capacity, 25-year guarantee AND worldwide free-of-charge replacement service during the first three years. Yep! 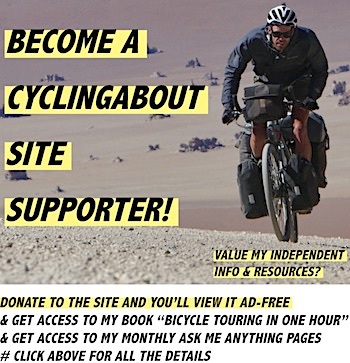 I have personally used these racks without issue for the last 10 years including a 32,000km trip from Europe to Australia. I can’t recommend a better product. The retail value of these items is US $260, so it’s rather surprising to see them end up on this bike. A Tubus Cargo rack is supplied with the Giramondo. The Masi Giramondo comes with a slightly flared road handlebar and barend shifters. While this style of gear shifter is highly unlikely to ever fail (this is the reason why touring bikes tend to come with them), you may fancy getting yourself a set of Shimano Sora R3000 3×9 brifters which will make changing gears quicker and easier. They’re available for under US $150 and may be a good reason to switch across to a black bartape. 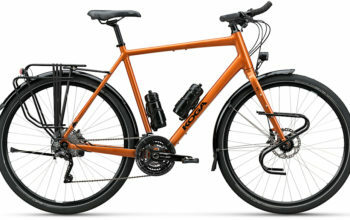 Considering the value of the Tubus racks, the asking price of US $1299 makes the Giramondo 700c one of the best value touring bikes on the market. The red handlebar tape is a bit of an odd specification choice but is easily changed. 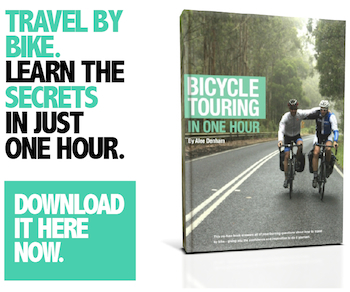 Perhaps off-road adventure riding is your game? 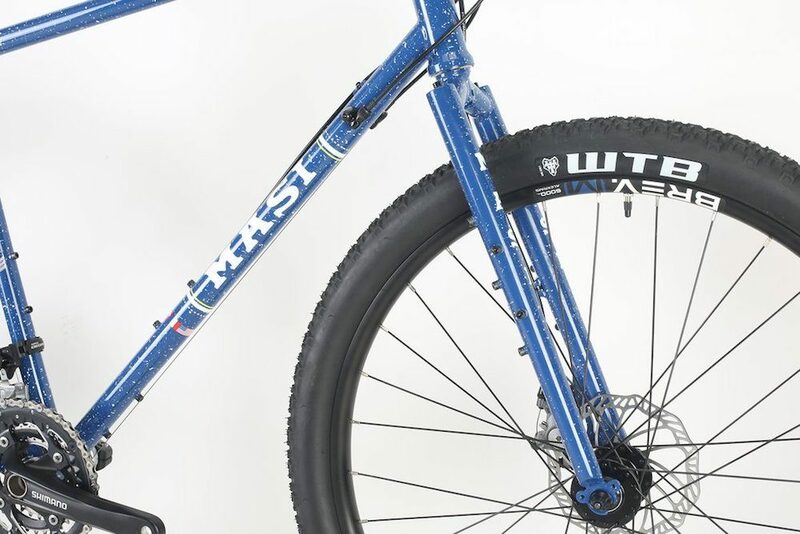 No worries, Masi has a Giramondo with 27.5″ wheels as standard that are and fitted with 2.1″ wide mountain bike tyres. While the frame stays the same, the fork is different. It uses a segmented design to achieve greater tyre clearance. 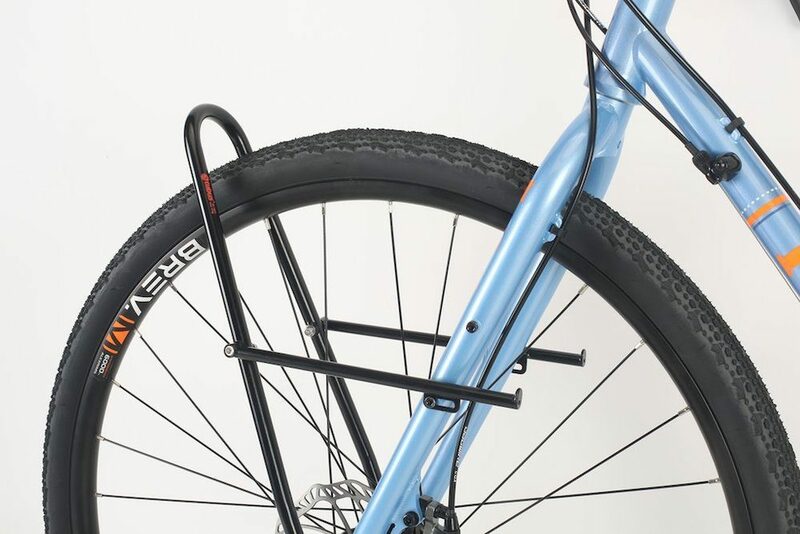 It also has two 3-boss mounts for cargo cages at the back, as well as dynamo cable routing on the inside of the fork leg. 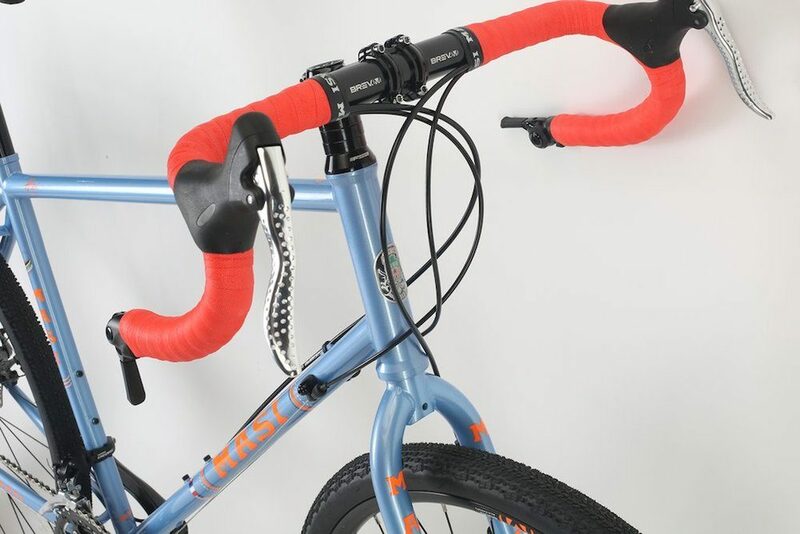 There are still mounting points for a front rack, but you also get the option for fitting a mini/porteur rack to the mounting points on top of the fork. The fork is different on the Giramondo 27.5. The splatter paintjob is sure to be polarising. 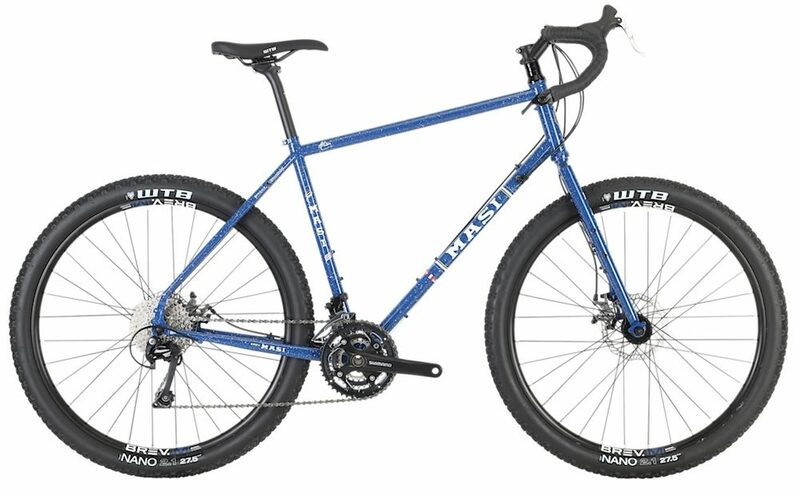 It harks back to mountain bikes that I used to drool over in the 1990s, so I must say… I really like it! The integrated seat collar is also a bit of a throwback too, and while I don’t normally like them, it isn’t a dealbreaker. Just make sure you grease up the thread on the bolt! The paintjob is a unique touch to the bike. The Giramondo 27.5 comes with even more flared handlebars with a super wide drops section to provide additional stability in the rough stuff. Masi has also fitted a 30-degree stem to shorten the reach and achieve a slightly more upright position on this bike. 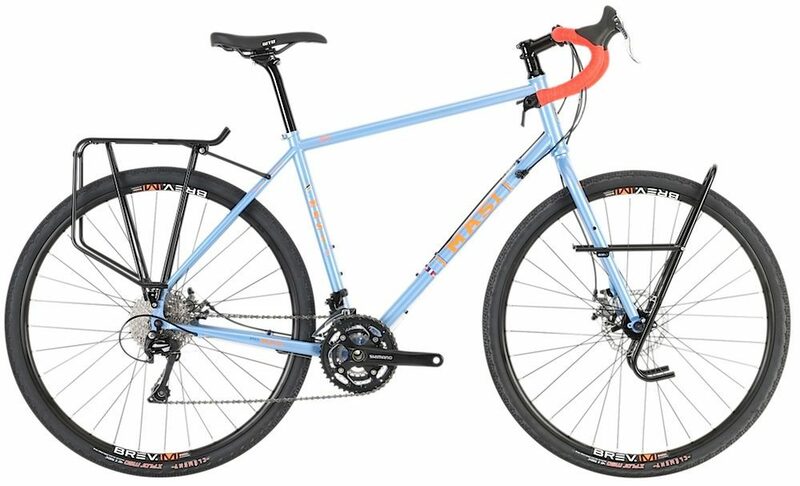 You can get your adventure mitts on a 2018 Masi Giramondo 27.5 for US $1199. 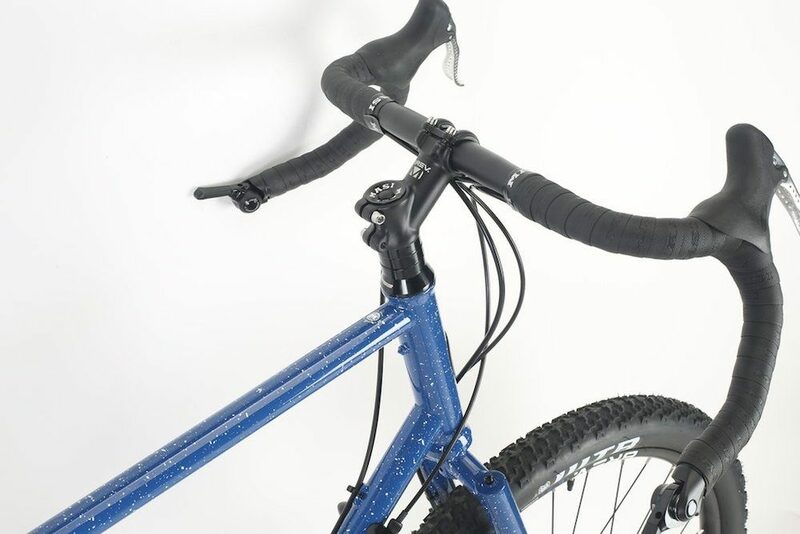 The WTB dirt drop handlebar is nice and wide in the drops.